hd00:17Boy wearing a Vr mask at home. Children have a fun. 4k00:18A movie astronaut looks at a movie while eating pop corn and enjoying the movie. Concept of: cinema and space films, film of the other world, surreal situations. hd00:22HD1080p25 Young man on sofa watching tv at home and drinking. hd00:09Tilt up image of young businessman using binoculars. Male executive is searching for opportunities. Professional is standing in office. hd00:15Girl with glasses virtual reality sits in empty theater. 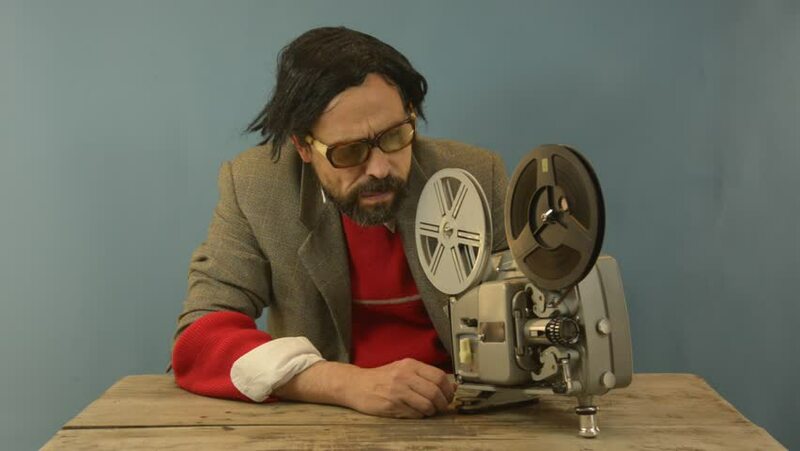 hd00:33An untidy bizarre man, wearing big patched glasses and a toupee, projecting a movie with an old super 8 projector.